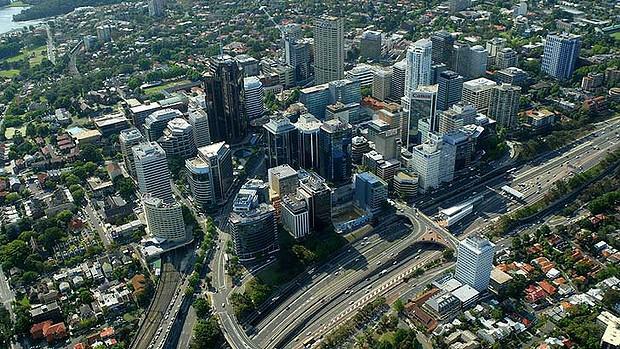 Government decentralisation, CBD supply constraints, infrastructure spending and urban regeneration hold the key to the growth of Australia’s metropolitan office markets, according to new Colliers International research. Colliers International’s latest Metropolitan Office Research & Forecast Report has found that while Australia’s CBDs still contain the majority of the country’s office space, the metropolitan markets represent a large and growing proportion. Going forward, urban regeneration precincts and those with solid public transport access would continue to offer best prospects for growth. Precincts to watch included Parramatta and North Sydney (above) in NSW, St Kilda Road in Melbourne and the Northshore Hamilton precinct in Queensland. “In terms of investor demand, as the focus of the major domestic and offshore pension and sovereign wealth funds continues to be on CBDs, other listed and unlisted institutions will create funds specifically to target metropolitan office markets, as their capital looks for new and expanded markets,” John Marasco, Colliers International Managing Director of Capital Markets & Investment Services, said. The cities monitored as part of the report – Sydney, Melbourne, Brisbane and Adelaide – have a combined total of almost 10.5 million sqm of office space in their metropolitan markets. In contrast, those four capital city CBDs have 12.8 million sqm of office space. The Sydney and Brisbane Metro markets have seen significant growth in Net Lettable Area over the last 10 years, growing by 79 per cent and 62 per cent respectively. Melbourne and Adelaide, on the other hand, have seen respective growth of 24 per cent and 14 per cent, and have been outperformed by their CBD markets. According to the report, Australia’s metropolitan office markets form a significant part of white collar employment activity in each of Australia’s capital cities, and the nation’s high levels of urbanisation significantly contribute to this. The report found most State Governments around the country have implemented policies to decentralise some of their office space out of CBD areas and into metropolitan and regional areas, with the direct aim to create white collar employment in suburban and regional areas. “As in the CBD markets, existing metropolitan precincts will have to compete with increased demand from residential developers, and masterplanned urban redevelopment sites offer the best opportunities for large scale office development,” Mr Marasco said. “Good public transport access will also be key, particularly in attracting government tenants, and also in order to lure key private occupiers out of the CBD. As the supply cycle in the CBD markets dries up over the next three or four years, the metro markets should become more affordable, relative to their CBD counterparts. “Large urban renewal precincts that are able to accommodate major campus-style office development are attractive to the private sector, and precincts with good public transport are essential for the public sector.